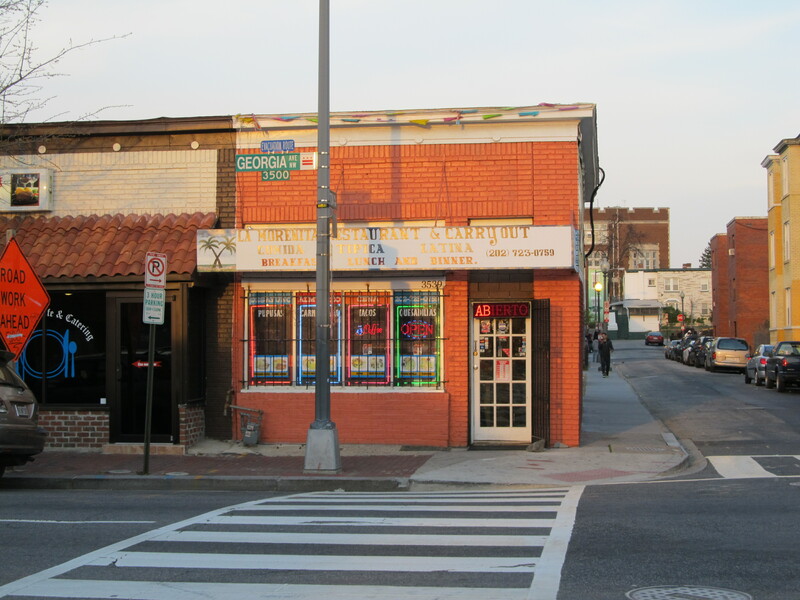 ABRA Removes License Suspension with La Morenita — Offer in Compromise Negotiated | Park View, D.C.
La Morenita was scheduled to go before the ABRA Board on Friday, December 1st, to address the incidents on November 13th and 19th that led to MPD closing the business down for 96-hours at the end of November. Instead, an offer in compromise (OIC) was negotiated and presented to the Alcoholic Beverage Control Board (ABC Board) by the Assistant Attorney General at the summary suspension proceeding. The proposed OIC, which the ABRA Board has the discretion to accept or reject can be read here. La Morenita Restaurant, LLC t/a La Morenita Restaurant (Licensee) agrees to train all employees to call the Metropolitan Police Department (MPD) by dialing 911 when there is any injury, assault, physical altercation, or other crime involving staff or patrons. Licensee will provide training on calling MPD to existing employees the next business day following receipt of the Board order ending the suspension. All new employees will be trained on calling MPD prior to commencing employment. Licensee agrees to preserve a crime scene inside the establishment for MPD inspection if a violent crime occurs. License agrees that all employees will call MPD when there is any injury, assault, physical altercation, or other crime involving staff or patrons. Licensee agrees that all employees will fully cooperate with MPD or the Alcoholic Beverage Regulation Administration (ABRA) with their requests for information. Licensee agrees to keep a log of police calls in a form acceptable to the Board. The form shall be submitted to the Board for review within 14 days. Licensee also agrees to keep an incident log. Licensee agrees to disable password access to its camera system and to grant immediate access to the camera system upon request by any Jaw enforcement official, including MPD officers and ABRA Investigators. Licensee agrees to modify the camera system within thirty days to retain video recordings for at least thirty days. Licensee agrees to submit a diagram to the Board with the location of all cameras within 30 days. Licensee agrees that, prior to re-opening the establishment, an ABRA Investigator will inspect the camera system for location of cameras to ensure that they properly cover the interior, exterior, and front and rear of the establishment. Licensee agrees to work with an ABRA Investigator to resolve any problems with cameras identified in the inspection within 45 days, provided that no fewer than six cameras will operate during that time. Licensee agrees to inform the Board within 48 hours when it learns that the camera system is not operational. Licensee agrees to repair the camera system within 30 days. Licensee agrees to have a security guard at the establishment for a period of 120 days commencing December 2, 2017 at the front door on Friday and Saturday nights, either from 9:00 pm to 2:00 am, if closing at 2:00 am, or from 10:00 pm to 3 :00 am, if closing at 3 :00 am. The security guard also will complete the police call log if the guard makes a call to MPD and complete the incident log. Licensee agrees to provide to the Board a copy of the security company contract within seven days. Licensee agrees to verify that any bartender employed is at least 21 years old. This entry was posted on December 7, 2017 at 9:26 am and is filed under ABRA, Public Safety, Small Businesses. You can subscribe via RSS 2.0 feed to this post's comments.